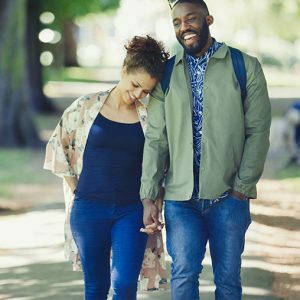 Are you emotionally connected to your spouse? Rev. Milan Yerkovich and his wife Kay, a marriage and family therapist, explain the what and how of emotional attachment. They also explain how differing people manage stress, and how each person's style affects a marriage. The Yerkovich's illustrate what a secure attachment looks like and tell listeners where to look to take an emotional assessment online. Bob: Sometimes, the reason people get stuck in their relationship is because they’ve never stopped to address the relationship patterns they’ve developed over time. So what happens when only one person in a relationship wants to do the work of getting unstuck? Here’s Kay Yerkovich. Kay: I encourage people, who are in a situation where only one person wants to grow that—two things: You’re responsible to God to grow no matter what your spouse does. Second, if you change, your spouse has to relate to another person. Focus on yourself; and tell your spouse you want to change and grow and be a better spouse. Sometimes, that will win them over; sometimes it doesn’t, but God is faithful to help you stay the course. Bob: This is FamilyLife Today for Tuesday, September 25th. Our host is Dennis Rainey, and I'm Bob Lepine. We’re going to talk today about the hard work that goes into growing personally and helping your relationship and marriage grow. Our guests are Milan and Kay Yerkovich. Stay with us. And welcome to FamilyLife Today. Thanks for joining us. I wonder how many couples listening to us, or how many couples who come to our Weekend to Remember® marriage getaways, would fit the pattern we’re talking about this week of being emotionally unconnected as husbands and wives?—functional / getting along okay—but just not at the level of emotional connectedness that is a part of what oneness is supposed to look like in a marriage relationship? Bob: —emotionally disconnected, like we’ve been talking about. Dennis: You’ve got your number; huh? Bob: Do you have your number, Kay? Bob: Wow! You didn’t plan this; right? Kay: And when I say, “emotionally disconnected,” I’m going to add to that “emotionally reactive”; because we were avoidant of conflict; but there are other pairs and styles that are very reactive to each other, and anger is a big part of that kind of relationship. I think the question is: “Can you have a conversation where reactivity doesn’t get in the way?” because you can’t really be emotionally connected if you can’t have a conversation or repair a rupture without a high level of reactivity. Milan: That’s a great question! Kay: Yes, that’s a great insight; because just because you can be loud and protest doesn’t mean that the other person is really hearing you. Let’s look at it from kind of a different perspective: “How do you manage stress?”—because, when you have to address something broken in your marriage, you’re going to be stressed. Avoiders flee—they detach. Pleasers freeze and get scared and try to make you happy. The ambivalent Vacillators protest, but with no resolution—they’re just telling you what’s wrong with you. Kay: And then the chaotic folks—that come from the very traumatic homes—the Controllers just get angry. They have no other emotions under that anger—it’s just always anger. The victims just learn to tolerate the intolerable, so they tolerate the intolerable. —and they are able to sit down and talk about difficult subjects; or, when there is a hurt, they’re able to repair it. Those are very important skills that you either learn growing up, or you don’t. Bob: Milan, I want to go back through these five categories—make sure I’ve got them in my mind. Milan: —or trouble, or struggle. They want to get out of Dodge. Bob: ESPN and just tune out—go passive. And then there’s the Pleaser. Milan: That was me—I was very fear-based / proximity seeker—but for the purpose of knowing that I’m okay: other-dependent for my view of self. Then there’s this ambivalent/preoccupied person, that we call the Vacillator. They are perpetually ruminating about closeness and distance in relationship. They obsess on it, because they’re worried about separation and distance; then they get angry. They’re the protestor, who wants things to be a certain way; and you didn’t make it that way, so you’re in trouble. Then there’s this chaotic/disorganized home which, according to one researcher, is a home where there is fright without solutions for the child. The child tries many different things, including, maybe, all these fore mentioned styles—as adults, often flip either into the controlling, dominating person, as an adult, or the person who remains perpetually the victim in the child. These would be what we call the insecure attachment styles. The secure attachment, which is what we’re trying to grow into, which is the growth into the image of Christ. Christ was securely attached. We want to grow more into His image, and that’s what the journey of our sanctification is all about—is maturing so we look more like Christ. Bob: And that secure attachment looks like what? Bob: Okay; so it looks like Jesus! What’s it look like in your marriage? Milan: Okay; Kay, do you want to share a thought on that? A Secure Connector can name eight feelings they have on a regular basis. I couldn’t do that previous to our work. A Secure Connector can repair when there’s a rupture. A Secure Connector can have a conversation and control their reactivity, whether it’s fight, flight, freeze, or whatever. They’re able to control that and stay present. A Secure Connector is a good listener. They’re able to draw another person out. A Secure Connector is a good receiver as well as a good giver. He [Milan] was a great giver, but a terrible receiver—I couldn’t do either. Bob: Okay; we’ve got a link on our website, at FamilyLifeToday.com, if folks want to take an assessment that’s free, online. Bob: There’s one that’s up there, and it will help them identify what their core style is. Dennis: So where did you come out? Bob: So I’m a mix of the Avoider/Pleaser. Bob: That’s what your book’s all about; right? —where it’s that same repetitive cycle; and you’re thinking, “Where is this coming from?” It’s really coming from broken attachment styles. God created attachment; really, what researchers did—is they just looked at how sin plays out. Dennis: Yes; they just discovered how two people connect with each other. Kay: —two ways of being trained colliding in a marriage. Dennis: I like the image, because Barbara and I took a dance class. Bob: You collided a few times; didn’t you? Bob: You’re not talking about the Foxtrot at this point. Dennis: I’m not; I’m not. You’ll still step on each other’s toes. I can almost guarantee you there’s going to be some missteps, because we’re broken human beings. Dennis: But you need a plan; you need an overall biblical plan. What Milan and Kay are talking about here is another way that you can also begin to get that dance together and be in rhythm. Bob: Well, I think part of the overlap—one of the things that couples do at one of our Weekend to Remember getaways is they have the opportunity to, through some projects we’ve created, to talk about issues that they’ve probably never talked about before. Bob: That’s what was happening, 15 years into your marriage, when you were starting to have some conversations—and to recognize and identify things that had never been there before. When these lights started to come on for you, what was the impact in how you related to one another? —really, I’m going to say, Kay, relatively quickly—[I] began to have compassion and empathy for your answers, and who you were on the inside, and your story; and you had compassion and empathy for me. We could understand where these things that we found objectionable were coming from. The answer was empathy and compassion. All of a sudden, we had a deeper love for one another—that was deeper about their history. Our God is a God of history!—He doesn’t forget history. Milan: This Bible, right here, is filled with history; and everything ties to it. I think compassion and empathy was the biggest thing that changed our relationship. Dennis: —and “Wisdom is godly skill in everyday living,”—that’s how marriages go the distance! They need God’s skill, and it comes from the Book [the Bible]. As God points out in Proverbs 2, you have to search; you have to seek. Dennis: It’s a lifelong process of learning the skill / the godly skill of loving another broken person and loving the gaps in their lives, where they need someone to accept them, and not create more fear. Milan: Yes; and I would say the greatest expression of love, Kay, is learning to listen to one another. Milan: —when I could accept that reality. Kay: —when you could accept that reality. Milan: I mean, I was a hard nut to turn right there. Kay: You gave me a place to have comfort. Kay: You know, I gave you things that your parents couldn’t give you. Kay: There’s a deep bond that’s created when we can be the healer of some childhood wounds that our spouse has, but we have to be able to define what they are and be vulnerable about what they are before we can invite our spouse into those places. This sounds simple when we’re just saying it on air, but it was a very uncomfortable process for several years; because shifting something that you’ve learned to do for the 20 years—or 18—that you were raised in your family and shifting that into something new means that you’re going to have to step into territory that’s very foreign and uncomfortable. Bob: So what you have to believe, in that moment, is that the other side of being uncomfortable is going to be better than the common comfortableness that you’re in. Kay: Yes! And, if you have a bad dance, you have pain in your marriage. Kay: So we say, “Pick your pain!” Growth is painful, because you have to look at things that aren’t pretty in your spouse and in yourself. You have to be willing to try something new that’s very uncomfortable. Bob: —you felt that way? Kay: I told God, you know: “Go sanctify somebody else! This is too hard! !” [Laughter] I really did say that several times. Kay: But if I could have known where God was taking us, I would have been running instead of resisting. I did resist! I think the word that best describes our relationship now is—there is a sense of freedom. You’re in prison as an Avoider; you’re in prison as a fearful Pleaser; you’re in prison as an idealistic Vacillator. When you grow, you actually feel a sense of freedom and a deeper bond. I couldn’t imagine it—I’d never been there! I think that’s where God wants to take us if we’re willing to go through the uncomfortable to a place that’s so good we can’t even imagine it. I would have to say our marriage is in a place now where I couldn’t have imagined it at the 15-year mark. Kay: We’re still growing; it’s not like we’re perfect. We have our days, where we’re in conflict; but we know how to repair it. We have the skills to do it, and it doesn’t take long to do it. Dennis: This sounds idealistic—this conversation, at this point—to a person who’s listening, who is going: “My spouse and I aren’t running toward the same finish line. I mean, we’re not talking about being married to someone else whom you wrote a book with. I’m talking about being married to someone who is singing off another song sheet. They’re not in the game, spiritually, at all. I have a sense of hopelessness, because my husband—or my wife—doesn’t share my spiritual beliefs.” That hopelessness can feel pretty dark at times. Dennis: What would you say to that person? Kay: Well, I encourage people who are in a situation, where only one person wants to grow that—two things: You’re responsible to God to grow no matter what your spouse does. Kay: Second, if you change, your spouse has to relate to another person. If you’re different, your spouse is now relating to another person. Focus on yourself, and tell your spouse you want to change and grow and be a better spouse. Sometimes, that will win them over; sometimes it doesn’t, but God is faithful to help you stay the course. Bob: Are these core styles that you’ve described here just something that is always a part of our personality, and we just learn how to do it in a better way?—or are these things that we grow out of? —or an attachment success—based upon whether you came out of your home securely attached or with one of these five insecure styles. These are really areas that, I would say, are deficiencies that we can grow out of. Kay, what were you going to say? Milan: Because you’re no longer an Avoider. Milan: And I’m no longer a Pleaser. Milan: Those things don’t resemble us anymore. Kay: Right; but the great thing about attachment—and it was an answer to prayer for wisdom; I don’t doubt it—was that it helped us to really define what was broken, at the root. Kay: —it started to die out. That frustrating dance is no longer there. Bob: So what do you say to folks, who hear us talking about all of this, and they say: “This sounds like a lot of psychological mumbo-jumbo. The problem is we’re both sinners; and we just need to turn from sin, and get rid of the selfishness, and serve one another, and love one another. “That’s what marriage is supposed to be, and the rest of this just sounds like a bad episode of Oprah.” [Laughter] You’ve heard that! Kay: Oh, yes; we do hear it! Milan: Of course, we have; of course, we have. It’s the Greek word psyche, from which we get the word “psychology.” It’s the word, “soul.” He could describe His inner person and ask for something. He could ask for help. That’s exactly what He did. So, the night before He died, He had self-awareness of what was going on. He had horizontal support in Peter, James, and John; and He had vertical support as He got on His knees and cried before the heavenly Father. This isn’t psychobabble. In order to be the kind of Christian we need to be, and that God requires that we be, we have to be emotionally and relationally conversant and mature. As a matter of fact, I like to refer to us as relational theologians; because God’s all about relationship. How do we love Him and one another the way He wants us to if I don’t have any emotions to go along with that? Kay: We do hear from people: “Well, this sounds too much like psychology.” I think we limit God. You know, when you go to the doctor, you get a diagnosis that is not in the Bible. The diagnosis is just a grouping of symptoms that they call a name to. I think it’s very similar with attachment theory. It’s just a bunch of researchers, who got together, and watched how sin played out. Kay: And so, basically, what we’re looking at is patterns of sin that, often, are generational. These researchers just did us a wonderful favor and gave the names and descriptions that fit so many people. God can use anything! He certainly—His Word is foundational. That is the thing that—without the Holy Spirit and without the leaning on the Holy Spirit, none of this would have happened. Dennis: You know, I think God made us wonderfully and fearfully. Dennis: But He has called us to love well. That’s what the command of Jesus is: “To love the Lord your God with all of your heart, and to love your neighbor as yourself.” And who is your closest neighbor? Dennis: If you don’t know how to love your spouse, then I would encourage you to go on a treasure hunt. Dennis: Read Proverbs, Chapter 2—I’d say the whole chapter, honestly. Read it every day for 30 days. Proverbs, Chapter 2—Solomon said: “My son, if you receive my words and treasure up my commandments within you, making your ear attentive to wisdom, and inclining your heart to understanding, and yes, if you call out for insight and raise your voice for understanding, if you seek it like silver and search for it as a hidden treasure, then you will understand the fear of the Lord and find the knowledge of God.” It says, “…for God gives wisdom.” Either that’s true, or it isn’t! I think one of the finest and most practical ways to experience the wisdom of God is in the marriage relationship between two broken, emotional, sinful, selfish human beings. Bob: Well, if you want to get some insight into the sin patterns that affected you and shaped how you relate to one another in marriage, go to our website at FamilyLifeToday.com and take the “How We Love Inventory” that Milan and Kay Yerkovich have developed. It’s free to take. You can find out more when you go, online, at FamilyLifeToday.com. Of course, we also have copies of the book, How We Love, and the companion workbook. This is something you may want to go through with other couples as part of a small group study. You can find out more about the resource when you go to FamilyLifeToday.com. Order it from us, online; or call 1-800-FL-TODAY to order. 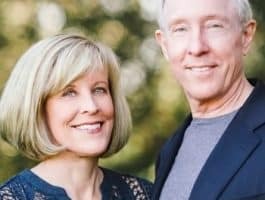 Again, the website is FamilyLifeToday.com. You know, you stop and think about the commands in Scripture that we love one another—that we learn how to empty ourselves and care for the needs of others, not just in marriage, but in how we relate to our children, how we relate to our neighbors / people at church—this command to love is at the heart of the gospel. It’s at the heart of all we do, here, at FamilyLife®. Our goal is to effectively develop godly marriages and families; because we believe godly marriages and families can change the world, one home at a time. I wish that many of you had the opportunity to be here at FamilyLife—to hear the calls that we get, to read the emails that come in, the letters that we get from folks—to hear how God is using FamilyLife Today to mold, and shape, and grow young couples in their marriage relationship; young parents as they relate to their children; couples who are struggling or in crisis. God is using this ministry in some powerful ways. All of that is because of you—those of you who help support this ministry / those of you who fund the work that we’re doing through your financial contributions. We are so grateful for your partnership with us. We want to express the gratitude that we hear, so often, from people who are being impacted by this ministry and by their fresh understanding of how the gospel affects relationships. This month, if you’re able to help with a donation, we’d love to send you, as a thank-you gift, a book written by our friend, Bryan Loritts, that’s all about understanding what’s at the heart of the gospel. In fact, it’s called The Cross-Shaped Gospel. It’s our thank-you gift when you go online today to make a donation. Our website is FamilyLifeToday.com; or you can call to donate: 1-800-358-6329. You can also mail your donation to us if you’d like. Our mailing address is FamilyLife Today at PO Box 7111, Little Rock, AR; our zip code is 72223. Be sure to ask for your copy of Bryan Loritts’ book, The Cross-Shaped Gospel when you make a donation. And be sure to be back with us again tomorrow when we’re going to hear, once more, from Milan and Kay Yerkovich about how we can do a better job of loving one another in marriage.